Once upon a time, in a land far, far away, a little girl would draw and draw and draw. Some of those drawings were of glorious garments to be worn by princesses and queens. Then one day, an evil sorcerer cast a spell on the young girl forcing her to take job after job after job leaving little time to draw or sew. This left the little girl very, very sad. One day, while the little girl was re-arranging books on a very dusty bookcase, she came across a book of drawings. These drawings looked familiar and a nostalgia began to build in that little girl. It grew and grew and grew until that little part of her heart woke up again. A monster that had been hidden away, climbed out and reminded the little girl how much joy drawing and then turning her illustrations into garments made her. The little girl decided it was time to stop hiding that wonderful monster away! That little girl started drawing again, every single day! Not the end, but a new beginning. I am that little girl. After a few decades of not drawing, I have begun again. My skills are rusty. Oh boy… are they ever. The thing is, you need to practice. They say 10,000 hours until you have finally got it. I’m about 14 or 15 hours in at this point. I have a ways to go. You are wondering why I decided to begin again. For myself, it is easiest for me to articulate my ideas in writing and by drawing. Since I have begun making my own garments again, I have millions of ideas floating in my head. Many moons ago, I would sketch an outfit, draft up a pattern and make it. I’ve gotten back to the latter and need to do the former to help work out the look and feel. I’ve already created one of the outfits I drew. I’m going to do something here. Step outside of my comfort zone. I’m going to post pictures of some of the drawings I’ve done so far (these are only a few, I haven’t taken pictures of everything). Maybe in a years time, when I look back, I will see an improvement. When you look at them, be gentle. I am just starting again after many years of not drawing. I’ve awoken a monster in my head and this is how to release it. One hour at a time… 10,000 hours ahead of me! Give your dress some trim! We’ve self-drafted a circle skirt. We’ve self-drafted a peasant blouse. Let’s put it all together and make a self-drafted, two-piece patio dress! Our next sew-a-long begins on August 1st and it will end on August 31st! However, the beauty of this sew-a-long is you don’t need to self-draft the pattern. If you have patio dress pattern or patterns for the separate pieces that will work together, please use those as well. I know you are wondering why I am announcing this so soon. Our next sew-a-long begins on August 1st and it will end on August 31st. I’m making this one a month long, so that everyone has time to complete this SAL since it is a bigger project than the other ones we’ve done so far. A patio dress can be one complete dress or separates. It can be a circle skirt or a tiered skirt. The top can be peasant style, v-neck or a blouse style. It’s up to you. Know what else is up to you, how you decorate it. The most popular way to decorate it is with ricrac and embroidered ribbon, however, I have seen lace and other trims used! So… have fun with it! I am including links to how to self-draft and other tutorials and of course, photos for reference! We are starting on August 1st and will do the SAL for the month of August! Sassy Summer Peasant Blouse Sew-a-long! I’ve been feeling extra sassy lately and I attribute it to the twirly, whirly skirts I’ve made during our recent circle skirt and Lila & June sew-a-longs! Now it’s time to sew a top to go with our sassy skirts! I thought the perfect pairing would be a self-drafted peasant top! This is a top that is easy to make and is great for beginners or experienced sewers alike! Over the recent months, you may have seen the very popular Rita blouse being made. It is in the style of a peasant blouse, but a bit more structured. The one we will be making is more blousey and looks more traditional, not to mention it looks great either with a solid colour or with patterns. You can also give it a bit of extra oomph by adding ric-rac or embroidered pieces. It will be a really fun blouse to make! Two years ago on my birthday, I made a promise to myself, my version of a New Years resolution. What I promised was to stop buying ready made fast fashion and to start making my own garments and to start thrifting for items that can pass for vintage or be refashioned. There were a few reasons I wanted to do this. Firstly, I wanted to reduce and reuse. We used to have a mend and make do mentality that had gone out the door, or so I thought. The vintage community on Instagram opened my eyes up to that. Secondly, I’m a curvy girl and the thoughts of going into a department store and trying on clothing actually gives me tiny panic attacks. Do they put funhouse mirrors in those change rooms? Thirdly, and I think the most important on the list, making my own clothing and clothing that fits my body properly is empowering. This birthday, I am promising myself to work towards a mostly me-made wardrobe. I’ve decided not to go the full-on, 100 me-made wardrobe only because I know from time to time my fella will give me a gift card for some of my favourite vintage reproduction stores and as I said earlier, I want to thrift for clothing. The only time I don’t have mini-meltdowns is when shopping in these types of stores. They actually create garments for curvy girls and I also know the clothing is well made. Additionally, I do want to add more vintage (when possible) to my wardrobe and vintage like thrifted items (especially knowing that the money from these thrift stores is going to a good cause). Instead, my goal is 75%, this is doable. A girls gotta give a girl some leeway, right? An additional promise I’m starting with this birthday is to do a pre-birthday closet purge. I have items in the said closet that haven’t been worn, may no longer fit or never really fit well ane they are literally just collecting dust and taking up space. Space that will quickly be filled by the garments I’ve been making. In the last month, I’ve made five skirts and am now moving onto tops and very soon, dresses. As I mentioned above, it is empowering to make my own clothing and somewhere along the line I forgot that. When I was a kid my mother used to make our clothes and most of it was self-drafted. I remember how proud she was of her creations and that became my role model for being my own seamstress. All through my teens and a good part of my twenties, I continued the tradition making many of my own garments… then I stopped. For a long time I would say that life got in the way. Somehow it became easier to buy inexpensive, horribly made clothing. You know, for time saving. Yet, I was still having to adjust things, take them in, fix seams, change buttons… who was I kidding! I’m the type of person who finds motivation when participating with other like minded individuals in functions such as making garments. I know from my past that if I joined a sew-a-long or knit-a-long I am going to challenge myself to complete a garment. These are the reasons why I’ve started Facebook groups both knit-a-longs and sew-a-longs. Not only do we create garments but we are using vintage or vintage reproduction patterns that challenge and improve our skills. Another thing I have been doing to help motivate myself is by following garment creators and makers on both Instagram and blogs. Here are some of my favourites. I don’t expect to have hit the 75% mark by the time my birthday roles around next year, but I know that I will be well on my way to hitting that mark! I do have faith, I’ve been successful with my birthday promises this far. Do you make birthday promises as well? Sew-a-longs & Knit-a-longs OH MY! Summer dreams are 1957 Chevy’s with their tops down cruising down the main street, girls twirling their half circle skirts to Elvis, cute cotton knit jumpers and espadrilles. Turn up that rock and roll, make yourself a mai tai, get out your sewing machine or knitting needles and get those a-long engines revving! In June and July, we have some really fun sew-a-longs and knit-a-longs for you! You will find them in both our Killer Kitsch Vintage Knit-a-long group and in our Killer Kitsch Vintage WIPs group! These can both be found on Facebook. Over in our Killer Kitsch Vintage Knit-a-long group we are dancing our way to the end of our April through June knit-a-long and getting our needles ready for our Agatha Christie themed KAL. We will be knitting the Miss Lemon Jumper and the Miss Marple Swagger Coat. I am grateful to Vintage Grandma and Subversive Femme for donating patterns for these KALs. We will be starting the new Vintage Knit-a-long on July 1st! Over on the Killer Kitsch Vintage WIPs group we will be starting the Lila & June Wrap Skirt Sew-a-long on June 15th and finishing up on June 30th! Because every skirt needs a jumper or blouse to go with it, on June 20th we will start the Poison Grrls Boardwalk Blouse KAL and will end on July 15th! The Boardwalk Blouse is an amazing quick knit! 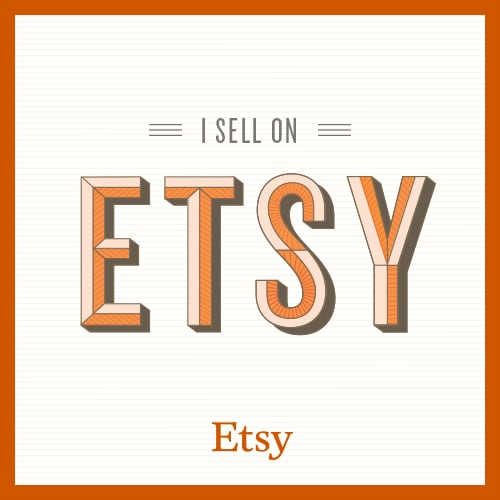 (The Killer Kitsch Vintage WIPs group is a show & tell group for your vintage or vintage reproduction knitting, crocheting and sewing!) A huge thank you to Kirsten of Lila & June and Amy of Poison Grrls! The patterns for the Lila & June sew-a-long can be found here for North America and here for the UK. 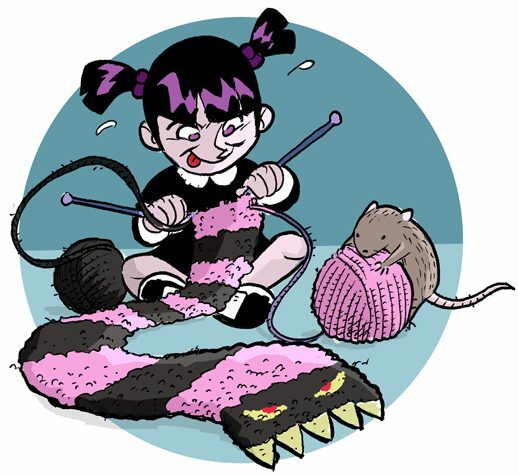 The Poison Grrls pattern can be found on Ravelry. I hope everyone is as excited as I am to get started!